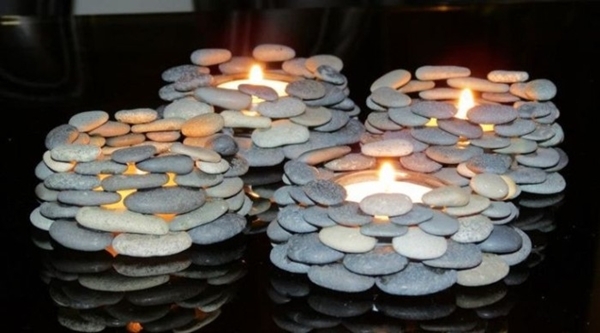 Happiness of decorating the house becomes double when you are creative enough to use even those stones. The story of stone DIY projects does not end with home decor only. 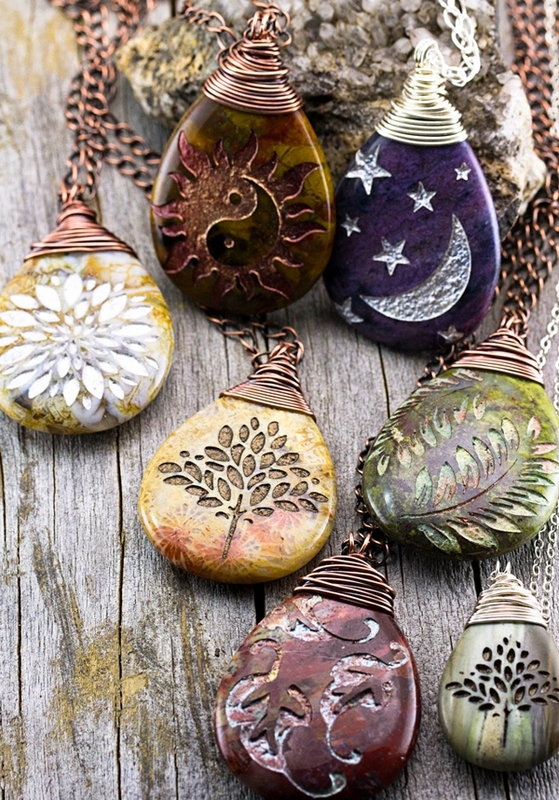 The Cool Ways to Use STONE for DIY Projects in 2016 also include creative and unique jewelry pieces and stunning gift ideas. 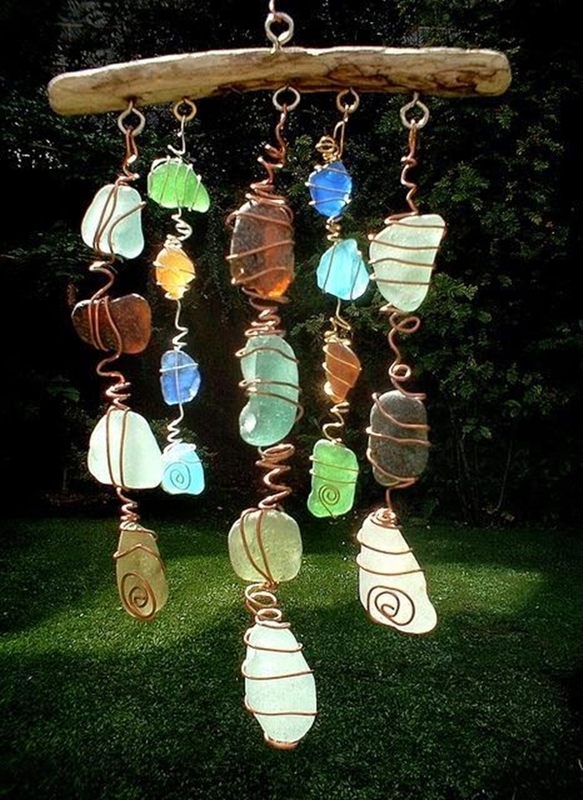 Or is it hard to believe that even a stone can be used in such creative ways? Well, the hold on your chairs tightly to get surprised with these stupendous ideas that will discover a new sense of creativity. Think of coloring stone project and there comes Mandela artwork, think of carvings and voila! The horizons are never-ending making these projects a bit more fun and creative. A metal bucket, some plaster of Paris, some pebbles with flat surface and non-sanded grout will be sufficient to make an amazing stone flower pot. Put on a single yet thick layer of plaster of Paris over metallic bucket thereby sticking the pebbles all over the space. Final furnishing be done with non-sanded grout further letting it to dry will make this stone flower pot ready to be kept in garden. The knitted cage with thin woolen thread to keep the glass stone enclosed in it will make a beautiful pendant with such a creative case, isn’t it? Being a girl is about stupendous jewelry after all. A cute matching bracelet could also be made with this necklace as to make your bestie happy and give your friendship another name of sisters-hood! Ha-ha! An everyday mat so magically turned into a hot mat with just a few stones is an incredible creation for kitchen. Here’s a tip; put that glue on the stones and let it stay for a while as to make it thicker before you stick it to the mat. Also, avoid putting the glue on the mat since it absorbs the glue and weakens the hold. Know the Celtic art or the tribal one. 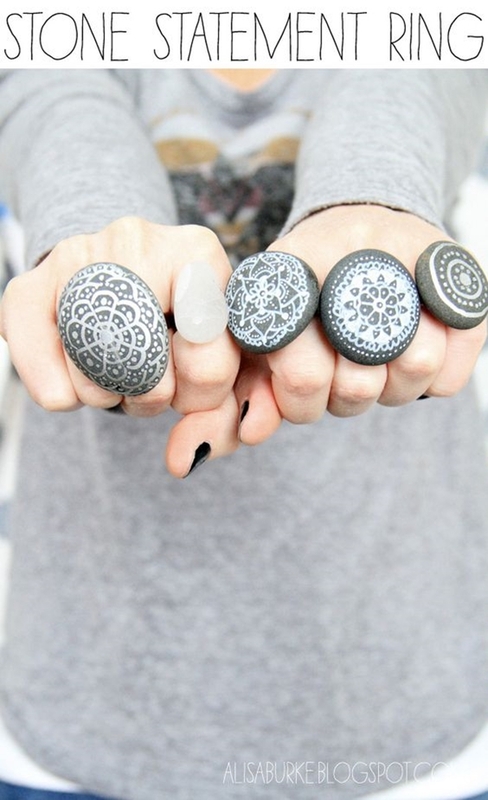 Even the Mandela or abstract coloring stun looks great finger accessories. 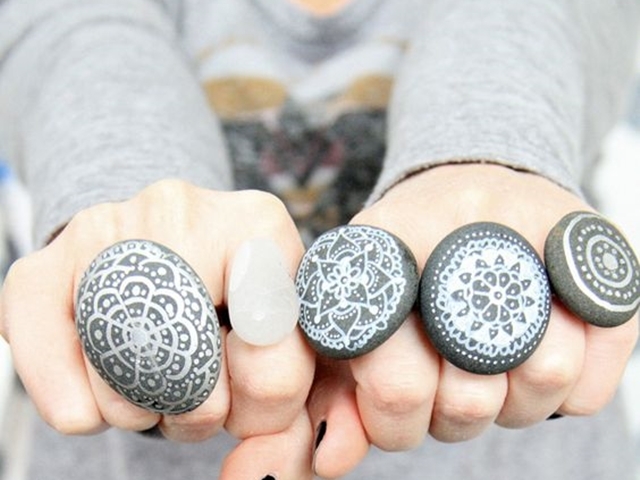 The statement rings to make your tribal outfit some more chic is a purpose beautifully accomplished by this stupendously Cool Ways to Use STONE for DIY Projects in 2016. Such a beautiful piece of art that literally makes you feel the peace and believe in the ultimate balance of nature! 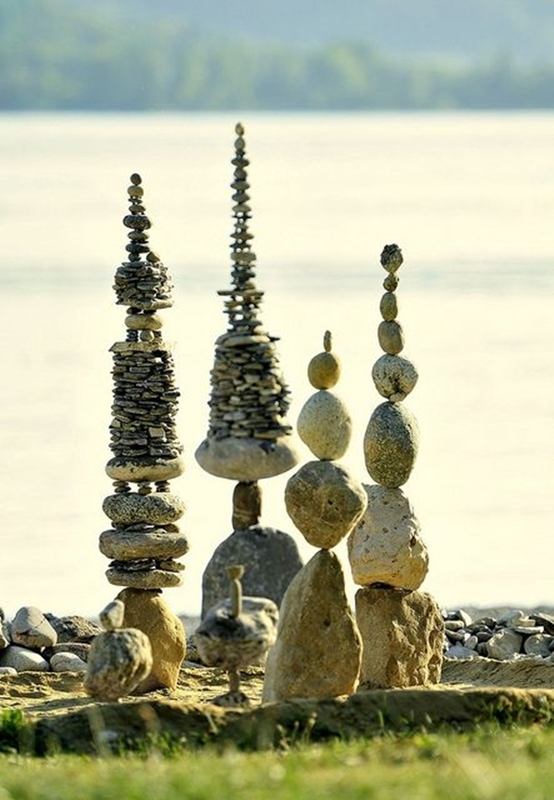 It’s like the even the air helping stones to stand and not to fall. This art will make your garden look incredible, isn’t it? Didn’t get any ideas for your kids to make them know that they are your world all over again? Chill lady! 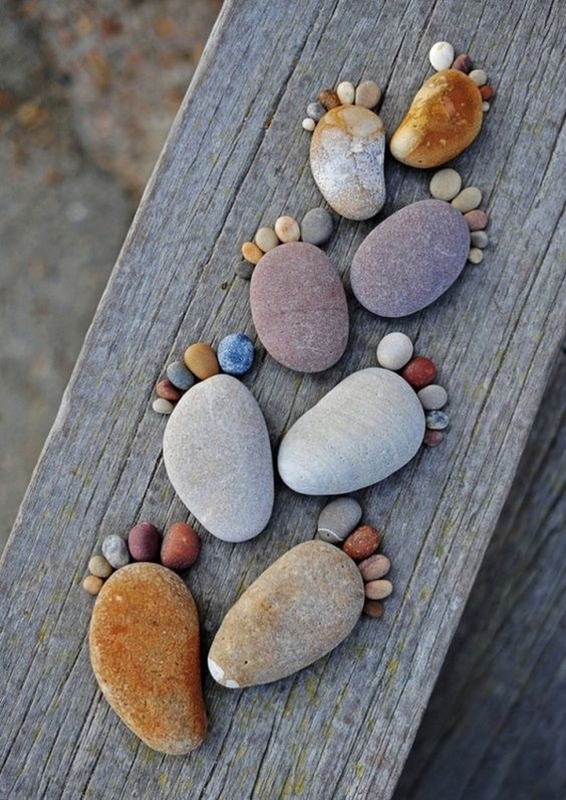 This chic footstep idea will create a memory not only amongst you and children but also amongst themselves. Get a frame and a branch from any tree thereby sticking small pebbles in shape of chirping birds. You may also portray some clouds using colors to make this wall frame more attractive. The fireplace is the first thing that crosses the mind whenever you think of vintage home. 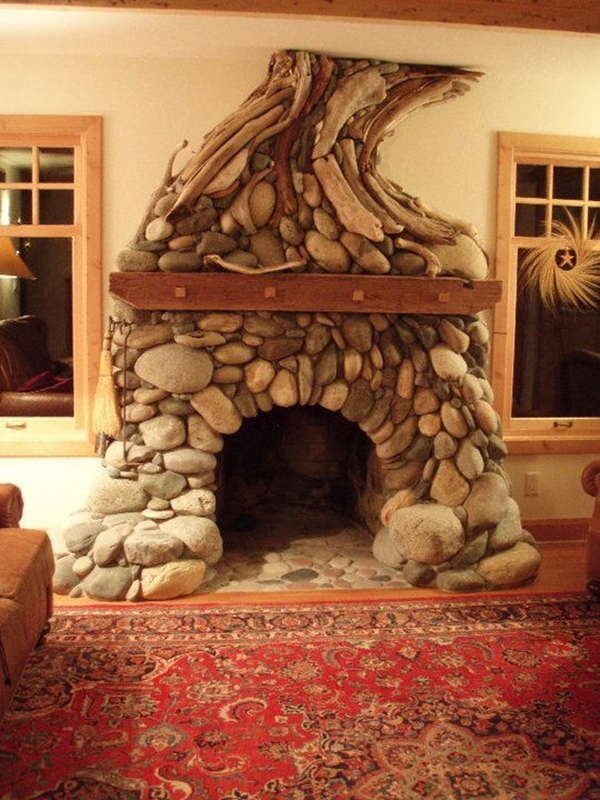 Use those big rocks to make a fascinating fireplace with a vintage wooden look from within. You may also introduce certain shelves thereby making it more useable. 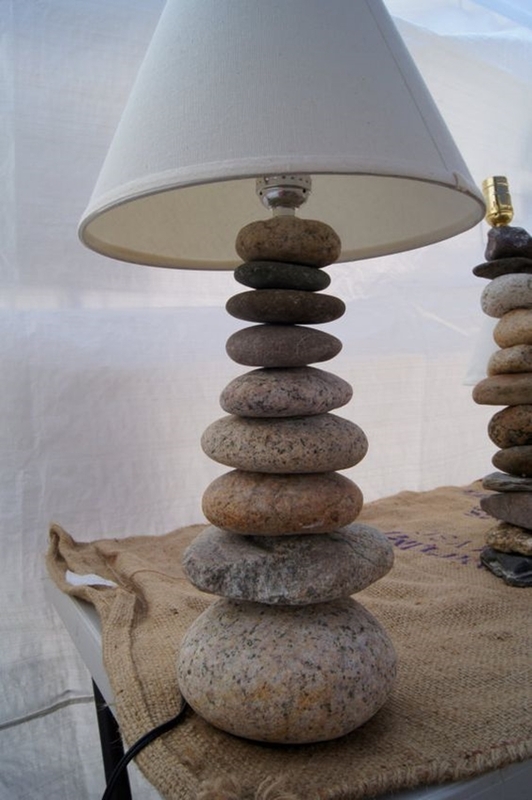 The largest stone at the bottom followed by the smaller ones will give you a dainty bedside lamp. You will surely love this creative lamp idea after vintage fireplace since it hits another retro idea. Perfect stoned wall behind bed with this dainty bed-side lamp having dim light is enough to make your life wonderful. The stone with copper wire wounded around it putting beads to make a centerpiece. 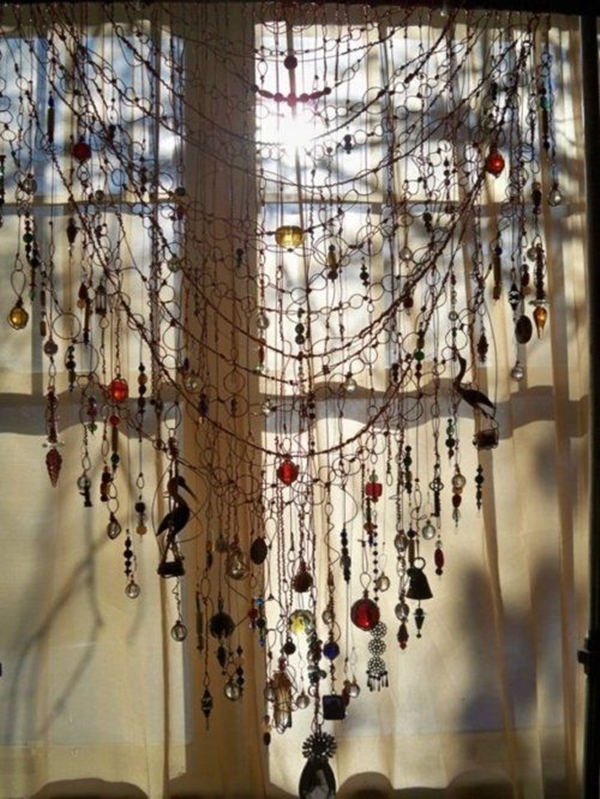 Prefer to choose crystal beads that throw a bright light back when interfered by a ray. Putting this centerpiece in a bowl with colorful crystal stones in it will look great at the dining. 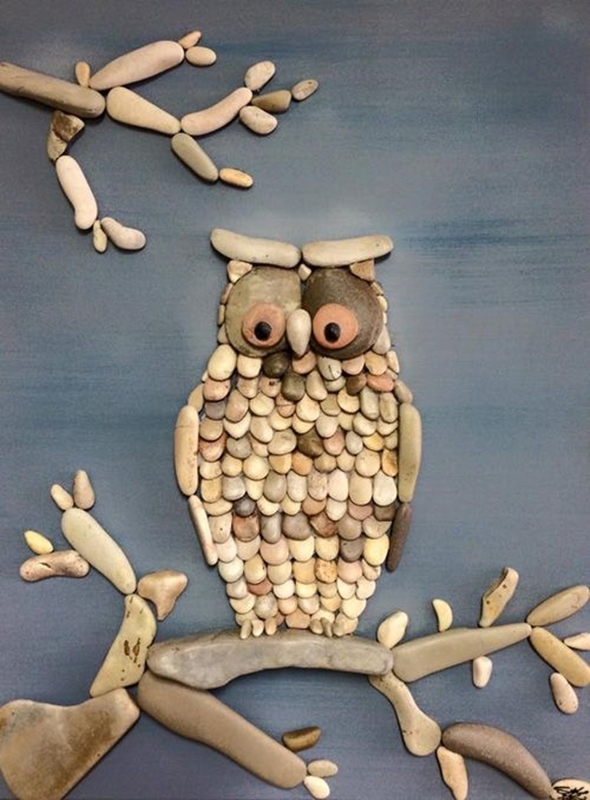 An owl sitting on a branch with a curious look is yet another Cool Ways to Use STONE for DIY Projects in 2016. Either use the wooden branch or make one with pebbles, your choice. Sticking it on a wooden canvas will give you an intelligent wall art. Get some bright colors and download some stunning Mandela inspired images thereby copying them on the flat stones. Get a darker base to pop the artwork. 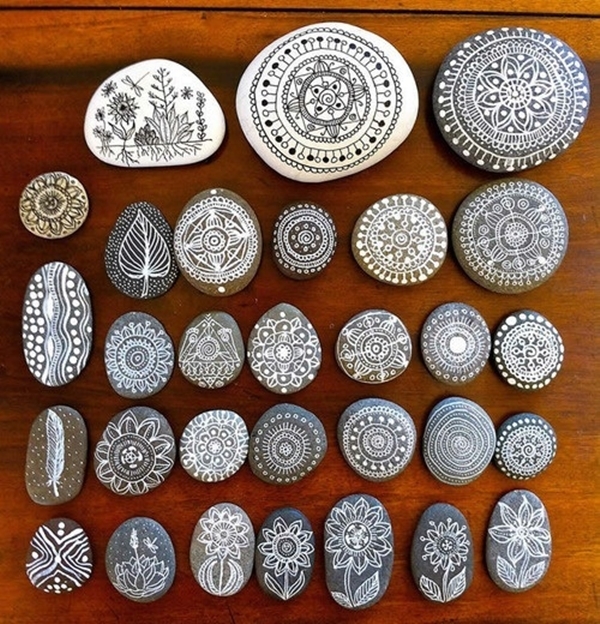 You may use these stunning stones as paperweight. Get creative dude! Carve on a leaf shaped stone to make yin yang or stars or moon or sun or anything you wish to make. And what it could be used for? Well, tie a copper string around it thereby making it no less than an ethnic yet statement necklace. Expand your creative horizons and treat this thing as a key ring. Wanna do an adventure of joining stones from tips to tips? Then make this cute faux stone planter for cactus. Just get some stones and use a thick glue to stick them up. Putting wet soil in it will give this stone planter a forever stick. You may also try making faux cactus to put it on the centre table of drawing room thereby doing something different. Too many varieties from nature make it difficult for your little babies to recognize basil from Tulsi. 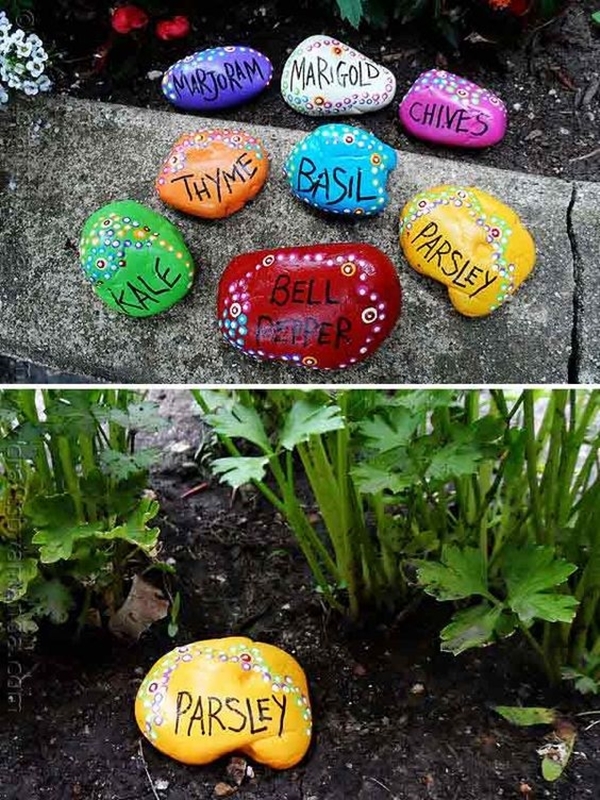 Though, we are here to make their connectivity with nature even better by marking garden using stones and some paint with names of plants written on it. Use those amazing garden hacks, damn it! Keep these in the planter and they will tell you about the plants when you tend to forget one. The wide spread sphere of imagination will give you an incredibly sense of creativity and you will end up stunning up your terrace. Of course, with these yet another Cool Ways to Use STONE for DIY Projects in 2016. Your responses explaining your ideas to use stones in an all new way is most awaited. Come on guys and girls, spill your secret ideas that has always brought amazing compliment for your home, sweet home.